Yesterday Holocaust Remembrance Day began and it ends tonight. 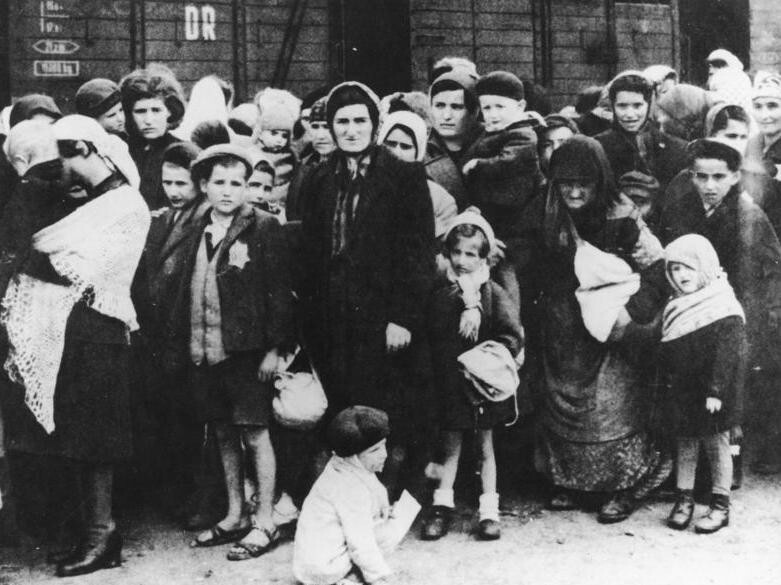 This link will take to you the history of the day as well as 20 facts associated with the Holocaust. Even a quick read will illustrate the magnitude of what the Holocaust was. I was reminded of Holocaust Remembrance Day by an article in the New York Times. The article details how the leader (Mahmoud Abbas) of the Palestinian Authority, once a Holocaust denier, is now admitting there was a Holocaust and 6,000,000 Jews died in it. Personally, I’m a bit skeptical as to Mr. Abbas’ sincerity and suspect he may be saying things that he knows will resonate with gullible western leaders. It seems weird that there should even be such a thing as a Holocaust denier. The proof is over whelming. I was on a mission trip in 2007 in Poland and one day we took a side trip to Auschwitz. The experience is hard to describe. It was overwhelming, heart breaking, sobering, mind numbing and extremely distressing all at the same time especially when one realizes that any ethnic group is capable of that kind of atrocity and it will probably happen again and again with the only difference being one of scale. Why are there holocausts? Why did Hitler murder 11 million in his holocaust? Why did Stalin murder over 20 million (mostly Ukrainians) in his? Why did Pol Pot murder millions? The list can go on and on the differences only being that of the scale of a holocaust and the duration. I suppose there are many answers to the question of why but one rather obvious observation is an upside down morality. For example, Germany during Hitler’s reign of terror (1933-45) Germany was supposed to be a Christian country as was most of Europe. Yet an ideology (racial superiority) replaced whatever Christian ideology Germany had. What would have been considered morally wrong at an earlier date was now considered morally right. By the same token, the communists who killed millions (some people just don’t fit into the collective) during Stalin’s reign of terror believed they were morally right to do so. It’s why Saudi Islamic Terrorists (it’s right to murder infidels) could crash airplanes into buildings and kill thousands. It’s why there are Holocaust deniers. It’s morally right to deny facts if it advances your ideology. Someone once said ideas push men into action. I think that is right. Ideas matter.